Is there life after death? : Does the mind die when the brain dies? "Death is the termination of the biological functions that sustain a living organism." "The literal survival of the individual human personality or consciousness for an indefinite period after physical death, with its memory and awareness of self-identity essentially intact" (as defined by Corliss Lamont). So does the human personality survive the death of the physical body? Well, the fundamental issue here is the relationship between the personality and the body. Monism states that the physical brain produces consciousness and the mind and therefore the body and personality are bound together, and cannot exist seperately. Dualism states that our personality and consciousness can exist seperately and independently from the physical body, because they are two different entities. If monism is right, and consciousness and personality arise from the physical brain, then they are dependant upon it and this means that when the physical brain dies, then "we" cease to be. If dualism is right, then when our physical body dies, "we" shall continue to exist with our personality, consciousness and memories intact. Which position is correct? Where does the evidence point to? Brain damage from accidents such as a blow to the head or from toxins, diseases, and malnutrition and can often cause irreversible losses of mental functioning. Mental functions may also decrease as the brain ages. Mental states are correlated with brain states; electrical or chemical stimulation of the human brain can invoke perceptions, memories, desires, and other mental states. Electrical stimulation can also present the formation of new memories and cause memory loss. If the mind can exist independently of the brain, then why doesn't the mind continue to function normally when brain damage occurs? Thinking and memory instead appear to depend upon the cortex of the brain so how could they possibly survive the destruction and decay of the phyical brain? "In a sound Sleep sometimes, or in a Swoon, we cease to think at all; tho' the Soul is not therefore then annihilated, but exists all the while tho' it does not act; and may not this probably be the Case after Death? . . . . Now upon Death, and the Destruction of the Body, the Ideas contain'd in the Brain, (which are alone the Subjects of the Soul's Action) being then likewise necessarily destroy'd, the Soul, tho' incapable of Destruction itself, must then necessarily cease to think or act, having nothing left to think or act upon." Evidence in favour of Dualism? The fact that the mind is seen to react to damage or changes in the physical brain is assumed to be evidence that the physical brain must therefore be PRODUCING the mind. The mind is simply an emergent property of the brain. But wait a minute! Is this assumption a FACT? There is another theory of the relationship between consciousness and the physical brain which states that the physical brain actually acts as a reciever of consciousness. Rather than producing consciousness, the brain recieves consciousness, it regulates consciousness and it restricts and limits consciousness. This theory is compatible with all the observed facts mentioned above. It would mean that the relationship between consciousness and brain is much like the relationship between a television set and the signals it recieves. 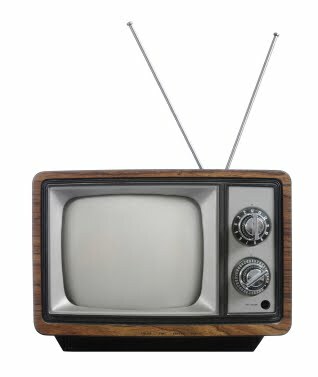 Just because you break your TV set and the TV then fails to gain a clear picture is not evidence that the pictures on the TV screen actually originate from within the TV set itself. In a similar way, yes damage to the physical brain can result in changes to that persons consciousness and personality, but this similarly does not necessarily mean that the consciousness and personality originate FROM the physical brain. between mind and matter has become clogged or imperfect." leads us to say, "My soul," as we say "My body," "My brain,"
a soul as if the soul were different from yourself." That this was wrote over 100 years ago is quite astonishing as the very same issues of mind / brain duality are debated today and yet in such old books you can find these theories. To me it appears that there is obviously evidence that our minds can be restricted in certain ways by changes in the physical brain but it remains unclear as to whether or not this signals a mind/brain dependence or whether this is simply the effects of the mind being limited by the "instrument" of a brain whilst bound in this physical existance. Why do so many people believe in the afterlife? One explanation is that people believe in the afterlife because it is a psychological coping mechanism to deal with death. So all of the so called paranormal stories and people professing to believe in an afterlife are just doing this because they have such a deep seated need to BELIEVE there is an afterlife that they almost trick themselves into finding evidence for it. Objection. Afterlife doesn't comfort everyone. One immediate objection to this idea is that we could equally say that some people do not want there to be an afterlife. Some people are not comforted by the idea and are more comforted by the idea that death is the end of our existence. These people will dismiss any evidence that there is an afterlife and seek out evidence that death is the end to our existence. So to argue for or against the existence of an afterlife based upon peoples feelings and beliefs towards it does not make tell us anything about the FACTS.